SFF PCs are the new craze. And, if you’re also building a micro-ATX PC, then do not go anywhere without reading this article because this is for certainly you! Today, I have reviewed the best micro ATX motherboards that will take your mATX build to a whole new level of performance. Along with that, i have answered some of the frequently asked questions on what makes up a good micro ATX motherboards as well. So, let’s begin! The idea of making small form factor PCs has taken over the geeks in the past few years. And, if I am not wrong you’re one of them 😛 Well, me too. Do you know why? Actually, this shift has come because the standard ATX motherboards are becoming more advanced and consequently costlier. An mATX motherboard includes all the necessary ports and slots on a fairly smaller PCB and it comes at a cost much lower than the advanced ATX mobos. The only thing you lose is a couple of expansion slots which, by the way, are generally left empty unless you are a serious professional. So, technically a micro ATX motherboard is a good choice with a perfect balance between size, performance and cost as well. Choosing the best micro ATX motherboard among so many different options can be a daunting task because I have been through that process very recently. 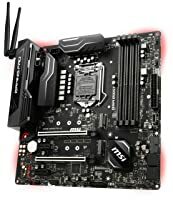 So, I decided to write this comprehensive post to help you find the perfect mATX motherboard in 2019. 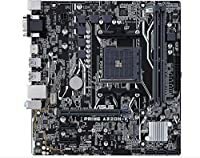 Recommended: Buying a micro ATX motherboard? You will need a good micro ATX case for that. Check out our list of best Micro ATX Cases you can buy in 2019. 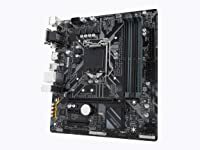 With my personal experience and testing in different configurations, I have listed out the best micro ATX motherboard that you can buy in 2019. These are ranked keeping in mind the performance, compatibility, and budget. To begin with, I would recommend Asus ROG Strix B360-G for all those who like to show off their love for gaming. Designed for 8th gen Intel Core processors, this micro ATX motherboard gives great aesthetics combined with maximum performance and connectivity. Asus ROG Strix B360-G is based on the Intel B360 Chipset and supports processors compatible with LGA1151 socket that means you can use almost all the latest Intel processors including the 8th generation. This mATX motherboard features 4 DIMM slots to house DRR4 2666MHz RAMs which allows you to stock 64GB memory. And that, my friend, is enough for all sorts of high-end games or resource hogging software. It comes with two PCIe x16 expansion slots for installing a high-end graphics card. Though, one of these two slots can only work at x4 max. For storage, you can connect up to 6 SATA 6Gb/s hard drives that make up a lot of space for all your data. Apart from that, if you want better performance, there are two NVMe M.2 slots as well for faster M.2 SSDs. Asus has upgraded the standard USB ports to dual second-generation USB 3.1 ports. And for LAN connectivity there is Intel I219-V Gb LAN Port with ROG GameFirst IV for network optimization and acceleration. 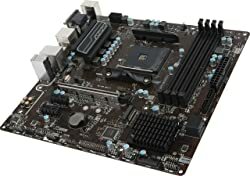 This micro ATX motherboard is also equipped with one each of HDMI and DVI-D port. For better audio experience, especially while gaming, there is Supreme FX S1220A with dual OP Amplifiers and support for Sonic Studio & Sonic Radar. Among other features, you get FanXpert4 for enhanced fan control and cooling. If you are a fan of RGB lighting, there’s a special RGB header too that supports LED strips and can be controlled with Asus’s Aura Sync software. Overall, Asus ROG Strix Strix B360-G is the definitely the best micro ATX motherboard under $100 which all the necessary things required for your gaming PC! At the second place on this list of best mATX motherboards, MSI Z370M Gaming Pro can easily beat any micro ATX motherboard in terms of features. Don’t believe me? Read on to blow your mind. First off, it supports the widest range of Intel processors with LGA 1151 socket including the newest 8th generation ones. There are 4 DIMM slots where you can install DRR4 RAMs up to 64GB combined. MSI has shielded and isolated the DDR4 PCB design in order to give a performance boost to the RAM modules. The best part that MSI Z370M a truly geek-friendly mATX motherboard is the support for overclocking (YAY! 😀 ). The Intel Z370 Express Chipset used in this motherboard can be overclocked for achieving the next level of performance. With the overclocking capabilities, you get two Turbo M.2 slots for adding ultra-fast SSDs. For connectivity, there are two USB 3.1 Gen2 ports and the Gaming LAN powered by Intel. Having personally tested it with PUBG, there is a significant improvement when it comes to online gaming. Another gaming-oriented feature that MSI Z370M micro ATX motherboard offers is the Multi-GPU support. With two PCIe x16 slots, you can use a dual graphics card with the help of 2-Way Nvidia SLI and AMD Crossfire support. You also get 4 SATAIII slots to fulfill your storage needs. For display, you get one HDMI port and one standard display port while the audio output is controlled by Realtek ALC1220 Codec with Audio Boost 4. There are few interesting extra features too like Click BIOS 5, VR Ready, Red LED Lighting, Intel Optane Memory Ready, EZ-Debug LED etc. Phew! The list will go on. Considering all the amazing features, the price has to go a bit higher but believe its all worth it if you want to build a high-end gaming PC. I can say, without a doubt, MSI Z370M is the best high-end micro ATX motherboard available in the market today. The next one on our list of best micro atx motherboards is the ASRock H310M-HDV. If you think spending 100+ bucks on a mATX mobo is a little too much, then ASRock H310 mATX motherboard is for you. It does not sacrifice much on features and yet takes the cost down to $60 approx. With the LGA1151 socket, this micro ATX motherboard supports Intel “Coffee Lake” processors meaning Intel 8th gen CPU is on. There are 4 DIMM slots for DDR4 RAMs but it can hold a max of 32 gigs of memory which is fine for running regular games like CSGO, Forza etc. For storage, you get three SATA3 ports to install hard drives but there is no M.2 slot available which is a little setback with this micro ATX motherboard. On the other hand, you get 4 USB 3.1 ports, two in the front and two at the rear, for faster data transfer rates. To handle the graphics, there is one PCIe 3.0 x16 slot for installing high-end graphics card while there’s another PCIe x1 slot for other peripheral devices. ASRock has interestingly added a 7.1 Channel audio output which is a very rare sight in budget micro ATX motherboards. It uses Realtek ALC887 Audio Codec and ELNA Audio Caps for producing high-quality sound. It also comes with Full Spike Protection and you will get regular ASRock Live Updates. There’s an exclusive App shop as well for getting compatible softwares to improve performance and utility. In my verdict, ASRock H310M-HDV is the best budget micro ATX motherboard that you can buy in 2019 without sacrificing much on the features. If ASRock could not please you, I have got another budget option for you – the Gigabyte B360M. Well, Gigabyte is not a new name when it comes to motherboards, so you can surely expect quality and performance both. Gigabyte B360M has a lot to offer despite being a budget mobo. You get support for latest Intel Core Processors with LGA 1151 socket design, four DIMM slots with up to 64 Gb memory support and one M.2 connector as well which was missing in the ASRock H310M. With the M.2 connector enabling the support for ultra-fast solid state drives, there are six SATA3 ports for regular hard drives / SSDs. The storage interface is also Intel Optane Memory Ready that betters the read-write rates and game load times. Gigabyte has also added Realtek 8118 Gaming LAN with automatic bandwidth allocation so that your Online games run as smooth as you want them. As this mobo can be overclocked, you will need better cooling and for that, you can 4 temperature sensors and three hybrid fan headers. All the cooling configuration can be monitored and optimized using the SmartFan 5 interface. With high-end audio capacitors and Audio Noise Guard, it is capable of producing 7.1 Channel HD Audio Output. For the graphics card, there’s a PCIe x16 slot while two more PCIe 3.0 slots for peripheral devices. The best thing about this micro ATX motherboard is the support for three-display setup with an HDMI, DVI-D and D-Sub port available for display. Overall, the Gigabyte B360M is the best mid-range micro ATX motherboard with overclocking capabilities and NVMe M.2 support. The next one on our list of best micro ATX motherboard is again from Asus but a more premium option. I am talking about Asus ROG Strix Z370-G.
Before I continue with its review, let me tell you that this not very affordable, so if you are also on a budget, you can check out other micro ATX motherboards that I have reviewed in this post. Now coming back to Asus ROG Strix Z370-G mATX motherboard. To be very honest, Asus has put in everything that you can ask for. There’s dual M.2 sockets, Wi-Fi, USB 3.1 ports, RGB lighting and overclocking capabilities as well; basically everything! This micro ATX motherboard comes with two PCIe x16 slots and 6 SATA 6G slots as well. So you can push dual GPU and as much as six hard drives to it. And that not the end. The dual M.2 sockets give you support for NVMe M.2 SSDs and the DDR4 RAMs can run at 4000MHz (O.C) with the support for XMP. Overclocking and Cooling are a just one-click business with Asus ROG Strix Z370-G. It automatically optimizes for different overclocking and cooling profiles providing quiet operation at regular use while optimal airflow for CPU & GPU intensive tasks. So, you can practically forget about all the complex tuning. For connectivity, it features the latest Intel Ethernet I219-V for faster and smoother online gaming and enhanced network speeds. It also features SupremeFX shielded audio for superior sound and low noise. Those who are love theming their builds with RGB, this micro ATX motherboard gives you full RGB control with Aura Sync. You can customize the lighting using six different modes with just a few clicks. 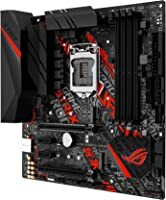 Being using this for some time now, I am pleased to tell you that Asus ROG Strix Z370-G is the most advanced micro ATX motherboard available with lots of features and scope of upgrading. For AMD sockets, there are not many options for micro ATX motherboards. But, Asus Prime A320-M is one of those which you count upon. Belonging to the Asus Prime series, this mATX motherboard maximizes performance, stability and compatibility for the very best DIY PC experience. With support for AM4 socket, you choose to have an AMD Ryzen or a 7th generation Athlon APU on board. It comes with four SATA 3 Ports for fulfilling the storage requirements. There’s one M.2 socket also for installing high-speed solid-state drives as well. More commonly, a regular mATX motherboard feature 4 DIMM slots but to cut the price Asus has put only two DIMM slots for RAM. I do not see it as a major drawback as it still supports 32GB for memory at a pocket-friendly price. Talking about the expansion slots, there is one PCIe x16 slot in which you can install a high-end video card to enjoy your games or ultra high definition streaming. For connectivity, you get four USB 3.1 Gen1 ports and Gigabit LAN controller for optimized network speeds. What really makes this budget micro ATX board stand out is the build quality. Asus has made extra efforts to extend the durability of this motherboard with SafeSlot Core, Stainless Steel back to avoid corrosion and Overvoltage protection preventing your PCB from getting fried. Overall, Asus Prime A320M-K motherboard offers all the necessary features for building an AMD-based small-sized PC at an affordable cost. In my opinion, if you aren’t looking to spend a ton, this one comes out to be the best budget micro ATX motherboard for AMD processors. The next one in the AMD section is the Gigabyte AB350M Gaming 3. You already know that Gigabyte always provides performance-oriented products that are cost-effective too. And, this micro ATX motherboard is no exception. See, if you want something that allows overclocking your AMD CPU, it is important you buy a mobo with B350 or X370 chipset. The Gigabyte AB350M is just that plus a lot of other features too. With two PCIe x16 slots, six SATA 3 ports and one M.2 connector, you get all the advanced storage and expansion capabilities required for building a good SSF gaming PC. This micro ATX motherboard also offers four DIMM RAM slots with support up to 64GB. And, that’s the maximum you can ask for. Gigabyte AB350M also offers great connectivity with six USB 3.1 ports (4x Gen 1, 2x Gen 2) on the rear and two USB 2.0 ports i.e. eight in total. It even comes with a TPM header that allows you to safeguard your hard drive using encryption. As I mentioned overclocking, the next thing that comes to the mind is overheating. This mATX motherboard comes with a hybrid fan header that allows you installed any type of cooling system, be it a case fan or CPU cooler or even a water pump. So, the abnormal temperatures would not worry you. One more thing that gamers gonna love is the support for three-display setup with HDMI, DVI-D and D-sub ports. And all that comes at only a price just below $70; told you it’s cost effective. 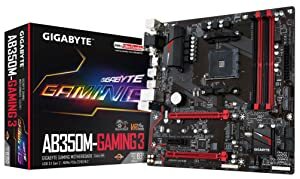 No doubt, Gigabyte AB350M Gaming 3 is the best AMD micro ATX motherboard for gaming available in the market today. If you want to go with a feature-loaded mobo for your AMD build, MSI B350M PRO is a great choice. And MSI has a reputation of a trustworthy brand in the market, so you can rely on this mATX motherboard. With support for widest-range of AMD CPUs and APUs, this micro ATX motherboard allows you to choose any of the latest AMD processors including the Ryzen 2nd generation CPUs. MSI B350M comes with four SATA3 ports and four DIMM slots. The SATA interface supports RAID 0,1,10 while the RAM slots are capable of housing DDR4 3200MHz memory sticks for unmatched performance. It also features the DDR4 Boost with optimized traces and isolated memory circuitry. There is a PCIe x16 slot for a discrete graphics card support and one M.2 slot for installing SSDs that can deliver up to 32Gb/s read-write speed. For network connectivity, MSI has thrown in Optimised LAN with a bandwidth manager. It comes with a stand-alone Network management application that allows you to prioritize network traffic across different programs. That’s a handy feature for gaming as well as cloud computing / syncing. With 3 Fan headers and PWM mode, you get full control over your cooling system for maintaining optimal temperatures and low noise. If you have a multi-display setup in mind, this micro ATX motherboard offers an HDMI, a DVI and a VGA port for connecting up to three displays at a time. Gamers or Professionals both gonna love it. For the looks, it is not so great but it has solid build quality with Heavy plated heat sinks and PCIe Steel Armor for better protection. Among other features you get support for VR, Click Bios 5, EZ Debug LED and X Boost for USB performance. Well, few features are still left but I believe you have understood why I introduced it as feature-loaded. To conclude, I would say MSI B350M PRO-VDH is the most advanced micro ATX motherboard for AMD based PC build. How to Choose a Perfect Micro ATX Motherboard? Having seen all the options, choosing a single one can be a task. And, the most frequently asked question about the micro ATX motherboards is “how to choose the perfect micro ATX motherboard”. Let solve the mystery for you – All mATX motherboards are Perfect! Yes, the only thing that matters is what are your requirements and budget. In the list of mATX motherboards above, I have included all type of options. Therefore, before you buy any micro ATX board, check out the important factors that make up a good mATX motherboard. You must have seen that many budget mATX motherboards come with two RAM slots while mid to high-end boards have four RAM slots on board. So, the common question is which one to go with – two slots or four slots? See, if you take my advice, go for an mATX mobo with four RAM slots. It gives you scope for more memory even if you are currently running two RAM sticks. Instead of choosing an mATX motherboard with two RAM slots, why not go with mini ITX that has two slots for RAM and cuts the build size by large. The number of expansion slots on a Micro ATX motherboard can vary between 2 to 4. They are meant for different integrated features like video cards, audio cards, and networking. More than the number of slots, the type of expansion slot matters. PCIe 3.0 x16 are the latest and fastest expansion slots nowadays. In case you have any old expansion cards, then you may want to opt for PCIe 2.0 x4 / x1 slots to use them. Two PCI Express x16 slots are enough for most users but at least one is necessary to have a discrete graphics card on board. With two slots you can opt for a multi-GPU setup with Nvidia SLI / CrossFireX support. You all know what SATA connectors are for – to connect storage like hard drives, optical drives etc. 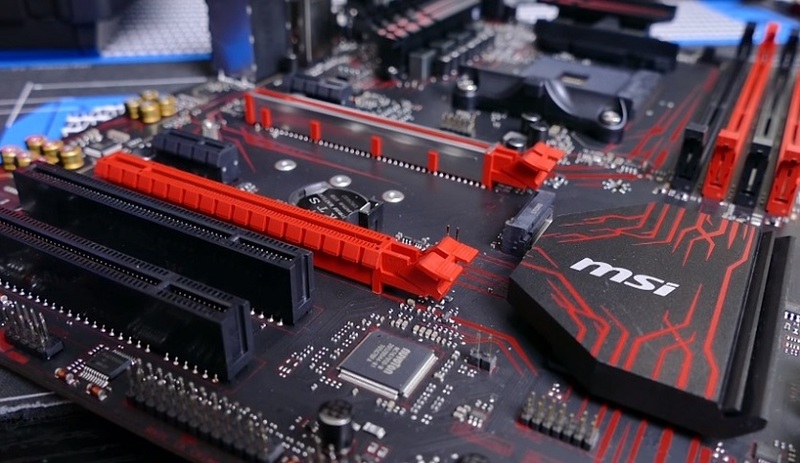 Most mATX motherboards will have at least four SATA 3.0 connectors that can run at 6Gb/s. Always go with four or more SATA 3.0 ports if you want to have a couple of internal hard drives plus an optical drive. Also, if you want to take advantage of faster M.2 Solid State Drives, make sure you have at least one M.2 NVMe connector because M.2 SSDs do not run off the PCIe x16 or SATA ports. This is for more high-end users (the geeks I mean 😛 ). See, if you are eyeing to overclock your CPU it is going to consume more power. And, for the same, your mATX motherboard should have more power phases to deliver cleaner and stable power to the overclocked CPU. Having more power phases also means less load on motherboard transistors, thus, increasing the lifespan of the motherboard. If you intend to overclock your CPU and RAM on a micro ATX motherboard, there must be at least a 4 + 2 power phase; in fact, a 6 + 2 is what I would recommend. 4/6 here is the number of phases for the CPU while 2 refers to the number of phases for the memory (RAM) controller. Please note that for all that overclocking you must have a high-quality VRM otherwise no matter what power phases you have, it is going to fry your micro ATX motherboard. For reliable VRMs, I recommend brands like Asus, Gigabyte, ASRock, and MSI. Among other things comes the connectivity and for that, the most important thing is USB ports. Always choose an mATX motherboard having at least USB 3.0 ports while having USB 3.1 is recommended. You can see a huge difference in data transfer rate (up to 6 times) when using flash drives via USB 3.1 instead of older USB 2.0. Another important factor to look for is the number of fan headers. Because mATX is smaller than ATX, they tend to heat and for that, you are going to need a good cooling system in place. The number of Fan headers determines the no. of case fans that you can install. I know there are always some doubts and that why I am sharing my answers to some of the most common questions that users ask frequently. These will help you understand micro ATX motherboards and make a better choice. The meaning mATX is “Micro Advanced Technology eXtended” which is the smaller version of standard ATX form factor. It is also known as Micro ATX. The size of an mATX motherboard is 9.6″ x 9.6″. Can a micro ATX motherboard fit in a mid tower case? Yes, any micro ATX motherboards can easily fit any mid-tower case which supports a standard ATX form factor. All you need to do is align the motherboard into the correct mounting pegs and it will fit right in. What’s the difference between a micro ATX and ATX motherboard? As the name suggests, a standard ATX motherboard is larger than a micro ATX motherboard. 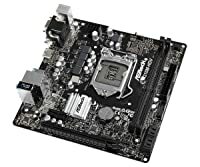 With more space on the board, ATX mobo can have more PCIe expansion slots, SATA connectors, RAM slots etc. On the other hand, micro ATX motherboard is compact, has lesser expansion slots and also requires components of appropriate size to fit correctly. Read more about the difference between mini ITX, mATX, and ATX. Well, that’s all in this roundup of micro ATX motherboards. I believe it must have helped you to make an informed choice while buying an mATX motherboard for your new PC build. In the end, for those who are still in the dilemma of choices, let me highlight my personal recommendations once again. In Intel section, the gamers who want a balance between performance and budget, just buy the Asus ROG Strix B360G – the overall best micro ATX motherboard of 2019. If you want a more affordable option, please go with Gigabyte B360M which is the best budget micro ATX motherboard. 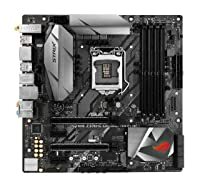 While there are not many options to choose in the AMD section but if you want the best micro ATX motherboard for AMD, buy the ASUS Prime A320M-K.
Did I miss something important? Don’t forget to tell me in the comments. If you found this post helpful, please share with your gaming friends. I am available to answer all your doubts, please ask them in the comments section below. Glinkster.com is a participant in the Amazon Services LLC Associates Program, an affiliate advertising program designed to provide a means for sites to earn advertising fees by advertising and linking to amazon.com. Amazon, the amazon logo, amazonsupply, and the amazonsupply logo are trademarks of Amazon.com, inc. Or its affiliates. As an Amazon associate we earn affiliate commissions from qualifying purchases.